Belle’s first daughter, “Britney BWS” was AHR silver classified with 77 points. At the 2007 GLHA Futurity in the fall, she won 1st place in the 2-year old draft filly halter class and became the Grand Champion 2-year old draft futurity winner. At the AHR Futurity, she won 2nd place in her 2-year old draft filly halter class and 1st place in the 2-year old draft driving class, earning her the title of Reserve Champion 2-year old draft AHR futurity winner. At the AHR National Show, Britney took 1st place in the 2-year old draft mare halter class going on to win Junior Champion Mare and eventually AHR Reserve National Champion Mare. With her little sister, Dee, by her side, she helped to win 1st place in the draft “Produce of Dam” class. 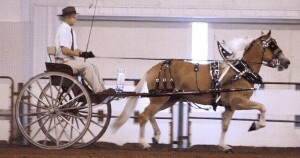 The two sisters also helped to earn a 1st place in the draft “Get of Sire” class on behalf of Arno. In 2008, Britney again earned her share of awards in the show ring. She won 1st place in the AHR Futurity 3-year-old mare class and went on to be named the 2008 AHR Futurity Champion 3-year-old. Britney also won 1st place at the AHR National Show in the 3-year-old mare class and eventually earned the title of Reserve Senior National Champion Mare. 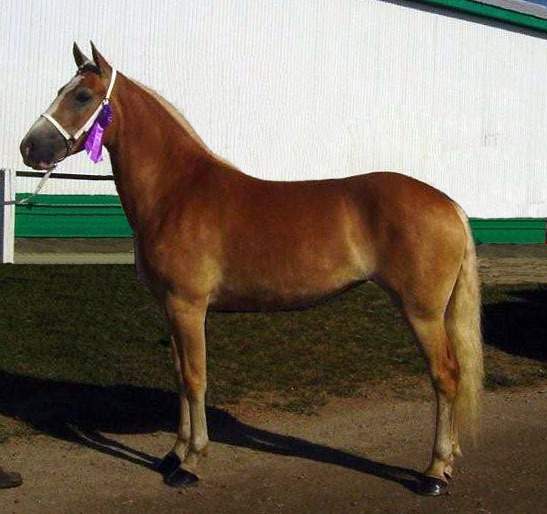 In 2009, Britney won 1st place at the AHR National Show in the ‘4 & 5-year-old Mare’ halter class.